32 flexible sessions explore history and development of different faith traditions. Participants plan their own program by choosing which religious groups to learn about, visit and relate to their own growing faith. 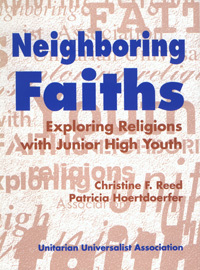 Includes historical resources and tips for hosting guests, visiting other faiths, creating worship experiences and more. Adaptable for senior high youth and adults.